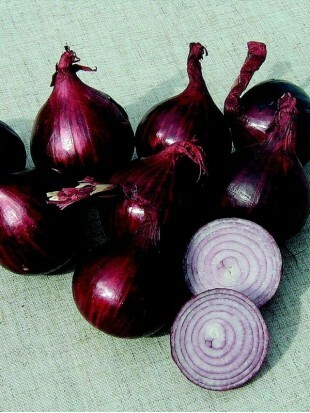 It makes round, red onion, which is very suitable for storage. This onion is well resistant to frost, so it's also suitable for early spring planting. We plant it from February to May. If we want a big onion we plant it as soon as possible. Advice: If we want to protect the onion from onion flies, we spray it once a week with a mixture of water and milk or whey (1:1). Milka has to be inhomogeneous, since it better sticks to the plants and protects against onion flies. If is raining, we must repeat the spraying, as the rain washes the milk from plants.